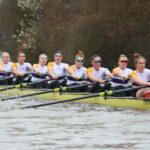 ULBC will be racing across six events at Henley Women’s, from Elite Eights to the Lightweight single, while three other UL women will be in Poland racing at World Cup 2. After last year’s success at Henley Women’s, when ULBC won for a 20th year in succession at the regatta, Georgia STATHAM (UCL), Ally FRENCH (Birkbeck) and Charlotte HODGKINS-BYRNE (Royal Holloway) will all form part of a U23 composite crew, racing in Elite Eights. Their opening round is against Northeastern Univeristy of the USA. ULBC have then entered the Academic 4+ category again, looking to defend the title won in 2014, 2015 and 2016. There are also entries into Senior Doubles and Senior Quads. UL are entered into the Elite Lightweight Pair’s event and Robyn HART-WINKS (UCL) races in Elite Lightweight singles, before moving to train with the GB senior squad for the summer. A Development Eight, made up rowers from UL colleges, also races. Away from Henley this weekend World Cup 2 takes place in Poznan, Poland. 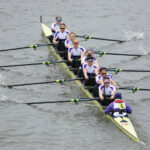 The GB Women’s Eight will contain UL’s Sara PARFETT (King’s) and coxswain Matilda HORN (alumna). Emily CRAIG (alumna) will race again in the GB Women’s Lightweight Double, looking to build upon her result at the European Rowing Championships. 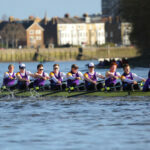 The UL Men race at Marlow Regatta this weekend as they continue their preparations for Henley Royal Regatta. There are a number of events taking place at HRR this year for alumni and friends of ULBC. Click here for details.